Android firewall apps secure your Internet traffic by blocking App's internet access, blocking IPs and bandwidth control. Whenever you install an app on your phone, there is no apparent control that you have over it. This means you don’t know when and how many times it can access your internet or WiFi connection. This generally happens when the app gets updates or simply is on an active mode. While the app is actively using your internet, without your explicit permission, it may also inadvertently be privy to your personal information. And you may not be comfortable sharing this data. It is, therefore, a good idea for you to be able to control its access to the free usage of your internet services. This is where an Android Firewall will help. What is an Android Firewall? Simply explained, a firewall is a network security device that monitors incoming and outgoing network traffic. It also can decide to allow or block specific traffic based on pre-defined security rules. Android firewalls act as the first line of defense in network security as they form a barrier between secured and controlled internal networks like the internet. A firewall can be hardware, software, or both. On an Android phone, we can switch from mobile data to Wi-Fi data anytime but we cannot stop an app from using the internet. But we do have a solution for that. 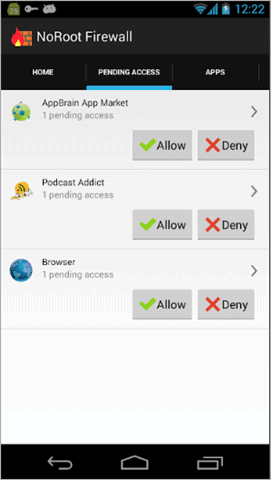 Firewall Apps for Android let you configure whether to allow or block access to the internet for any app. 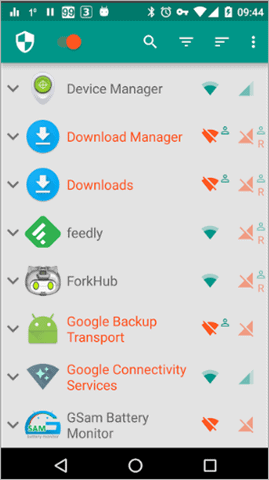 A few of them need you to root your phone, but most of these apps do not. This will save you a lot of trouble that comes up with rooting an Android phone. 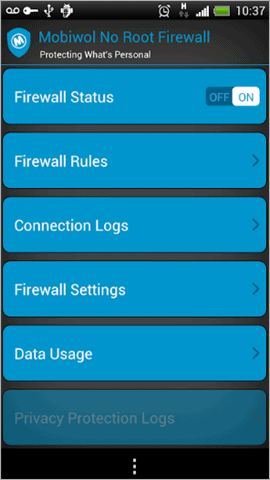 NoRoot Firewall is among the best Android Firewall Apps that comes with some great features and controls. When you are looking for a Firewall for an unrooted Android phone, NoRoot Firewall could be the first choice as it gives you full control over the apps in terms of giving access. Please note that NoRoot Firewall works on LTE because it does not support IPv6, but that doesn’t make this app any less worthy. It promises to safeguards your personal information from being sent to the internet. Moreover, it lets the app ask permission to access the net. Price: Free, no ads or in-app purchases. 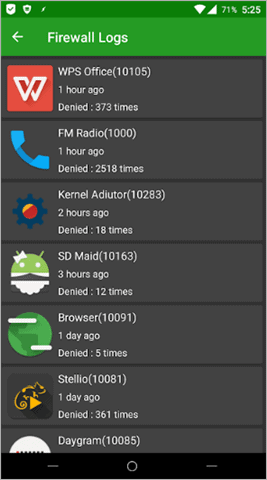 NetGuard, a Firewall App for your Android, offers you an advanced way to block apps to access the internet. It does not need you to root your device. 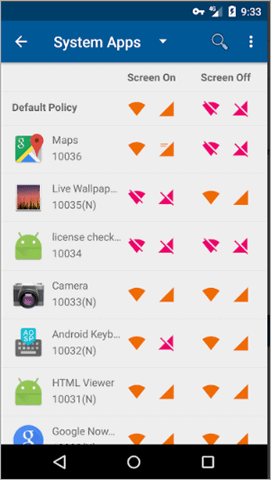 You can individually customize which application or IP address should be blocked from using your Wi-Fi or mobile data. This saves you from the unwanted usage of internet, battery and plus it enhances your privacy protection. Also, it is free to use as it is open source and compatible with Android 5.0 and above. Unlike NoRoot Firewall, NetGuard supports IPv6 plus TCP/UDP and IPv4. You can set notifications to be warned if some app is trying to access the internet. The Pro version has some advanced features. This includes things like logging all outgoing traffic, searching and filtering access attempts. 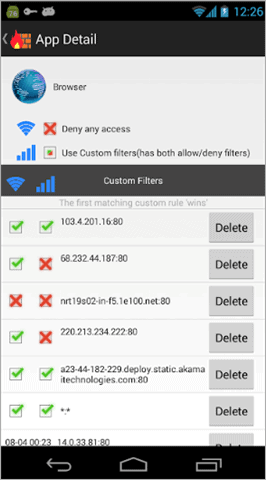 NetGuard as an Android firewall offers you total control over the apps, IPs, and internet. Price: Free with ads, some advanced features can be unlocked by in-app purchases. Okay! 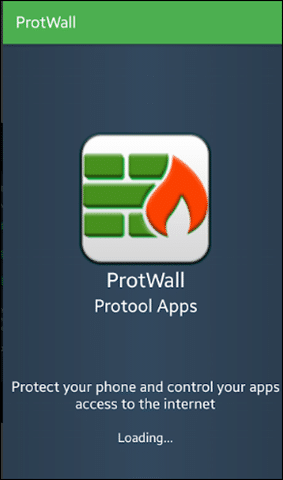 AFWall, as an Android Firewall App, needs a little effort on your part as it requires you to first root your Android phone before installing this app. If you don’t know how to root an Android phone, you can check here: How to Root Your Android Device Without Voiding Its Warranty. It features “Material Inspired Design” and is a front-end application for iptables Linux firewall. It allows you to restrict applications from using the internet in a fine-tuned manner. The firewall also controls traffic within LAN or while connected through VPN. It supports, IPv4 and IPv6 both. 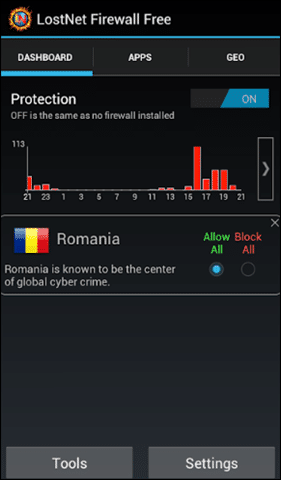 When it comes to an Android Firewall with minimal UI and simple settings, then Mobiwol: NoRoot Firewall fits the bill. Just install it, select all the apps that you want to restrict from using the internet connection, and it’s done. Mobiwol allows you to analyze the amount of data that an app may be consuming. You can also set a limit for an app to use the internet only for a specific time or data size. As soon as the app reaches the set limit, it restricts its internet usage. As the name itself suggests, this Android Firewall makes sure you are safe while doing any online activity. It comes with an added feature that reduces your overall data usage while also saving battery. The app’s easy-to-use interface allows you to customize each app accordingly. By default, the app will notify you if any of the apps try to access the internet. 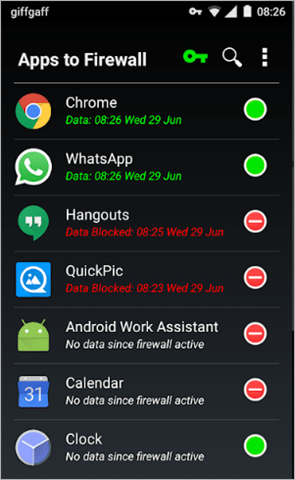 So you may have to select which apps you want to block from accessing mobile data or your Wi-Fi internet connection. It works almost with all the networks including WiFi, LTE, 4G, 3G, and other mobile carriers. The app is based on the VPN interface and this apps is free to use. 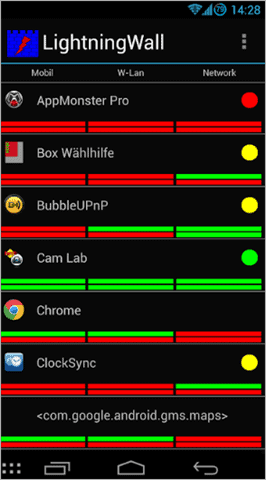 Similar to other Android Firewall, NetPatch Firewall works without Rooting your device. It allows you to block any network-based app, Hostname, and IP. 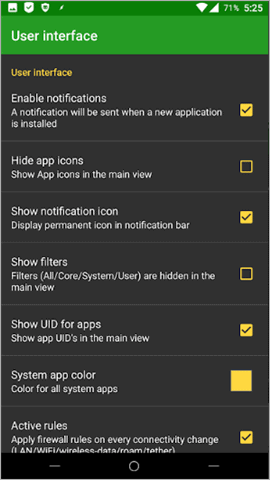 One feature that sets this Firewall for Android apart is that you can customize each app to connect to the internet or not, even when the screen is off. 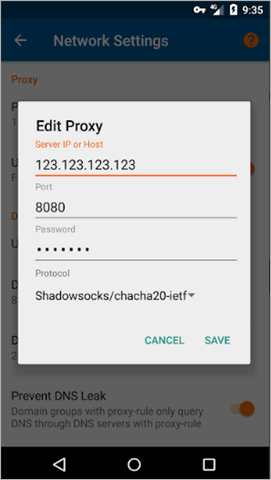 It supports Shadowsocks and ShadowsocksR proxy which you may not find in other firewalls. The premium version includes some advanced features like View all network logs, block the access to any domain names you don’t want, create domain and IP groups, support to CIDR network address, and much more. 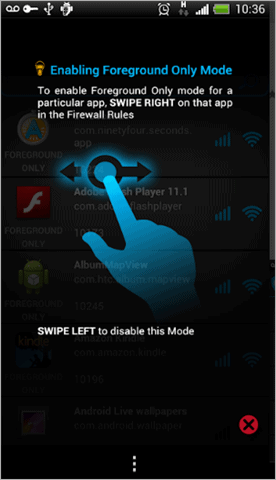 Although newly included in the list, Kronos Firewall for Android allows you full control over your apps to permit or block them access to the internet. Kronos has no complicated settings and advanced features, and it is best suitable for the ones looking for a basic Android Firewall App that can perform the primary task. It promises to consume less battery, unlike other apps. In addition to this, it is stable to use and is lightweight. If you want to block an app to access the internet, it will be applied to both Wi-Fi and Mobile data. People looking to block all the incoming and outgoing traffic via the internet will find this Android Firewall quite useful. 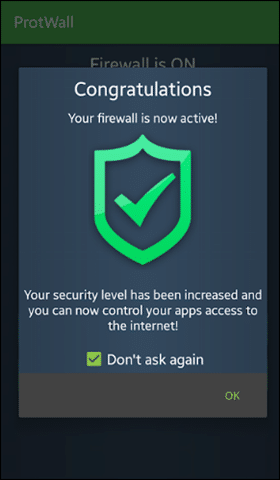 Fairly new on the Google Play Store, InternetGuard Data Saver Firewall is perfect for you, if you want to block all the network traffic using a single tap. It is simple to use without any complicated settings and features. 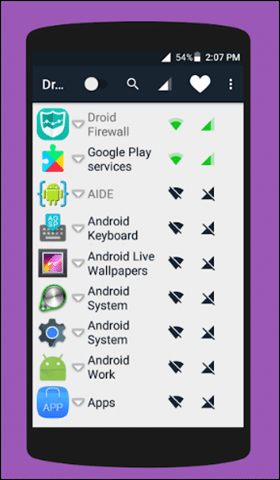 It is one of the best Firewalls for android among the new ones released, that has a huge bunch of advanced features. This aspect is quite rare in the no-root Firewalls. Other notable features of this Firewall are easy “allow/block” app connectivity and no tracking of user data or analytics. It supports tethering and IPv4/IPv6 TCP/UDP are the supported protocols. The Lightning Firewall app for Android only works for installed apps. It supports both IPv4 and IPv6 along with TCP and UDP. It works with Android version 2.3.3 and higher versions. 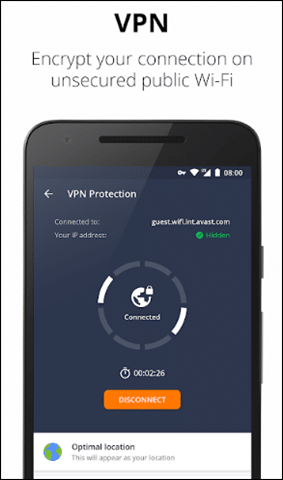 LostNet as an Android Firewall is a NoRoot Firewall which means it requires no root to install this app. It prevents all your personal data from being sent to the internet. Along with giving you the control over apps while accessing the internet, it allows you to prevent your apps from connecting to any countries you don’t trust. 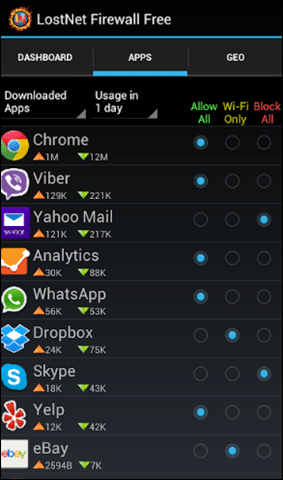 It keeps record and analysis of the data usage by each app. The UI is simple to use where you can also create profiles to set certain rules to tackle different situations. 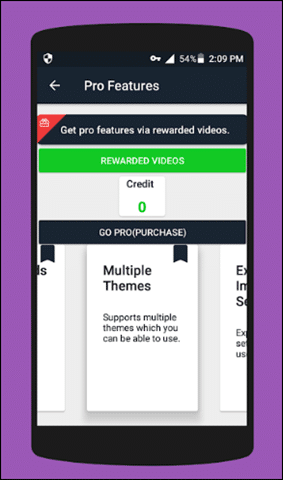 Price: Free, contains ads and in-app purchases. Droid Firewall provides no-root protection to your Android device. Whether it is a system app or an installed one, you can customize each of them separately. There is even support for the dark theme, for those who like to experiment with the UI look. With Droid Firewall, your personal data is safe from any threat. 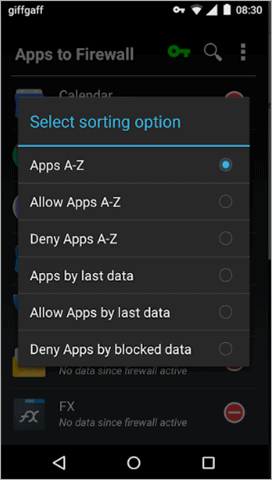 This Android firewall app has a material UI that needs minimal permissions to do its job. 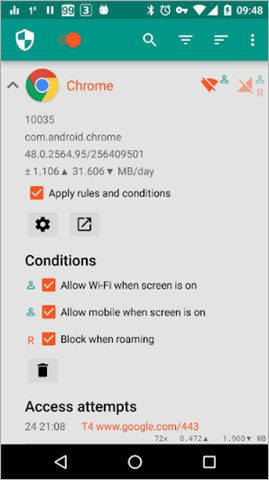 Although new to the Play Store, Droid Firewall does what’s needed at the moment while providing a safe connection to the web where you can peacefully perform any internet activities. 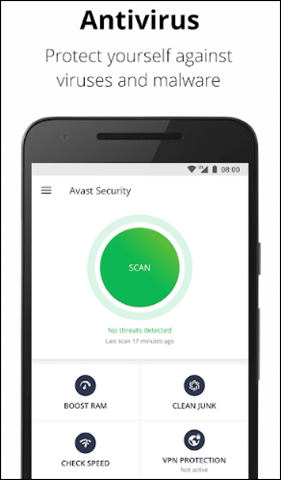 Avast is one of the most trusted antivirus apps that perfectly protects your device against any virus or malware. The multitasking app comes with an App lock, VPN, Junk Cleaner, Web shield, Wi-Fi Speed Test and it also has what we are looking for; Firewall. Avast has Firewall as one its features but your device needs to be rooted unlike other Firewall apps in the list. Hence if you are okay rooting your device, Avast Firewall is one great option you should consider. With a trusted name like Avast and their constant updates to their apps and database, this can surely provide more than optimal protection for you device. Price: App has in-app purchases. So, now that you have read through the list of best Firewalls for Android we hope that it has helped you to choose the one best suited for your needs. It will let you block unwanted usage of internet data by apps that maybe eating into your usage.